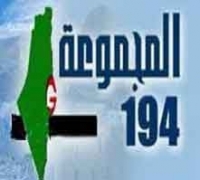 Last Saturday was the closing of the proceedings of the students’ 11th Palestine conference. 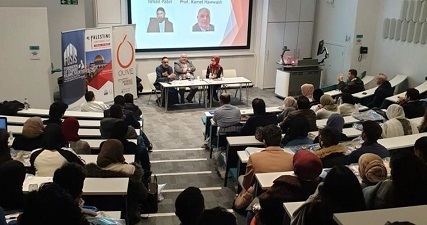 More than 200 people attended and participated in the conference, which was by organised by Olive - a British Palestinian Youth Organization - and FOSIS - the Federation of Student Islamic Societies - in partnership with the Palestinian Students Forum. 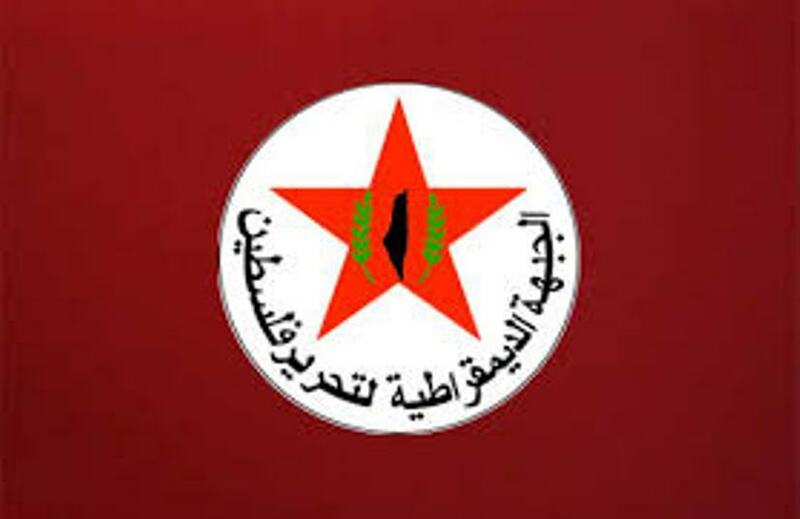 According to the organizers, the conference took place in light of the dangerous situation arising in the wake of Trump’s ‘Deal of the Century’, the closure of Al-Aqsa Mosque and the targeting of holy sites in Jerusalem - The capital of Palestine. The conference took place at King’s College in London. Its main aim was to shed light on Jerusalem as Palestine’s Islamic, historical and Arabic capital. It discussed a wide variety of issues related to the city, mainly the adversities it has been suffering as a result of Israeli attempts at Judaization, and conspiracies involving the American embassy. The conference hosted two sessions, which discussed the Al-Aqsa Mosque and the threats it faced. Speakers at the first session were Professor Kamel Hawash, Chair of the Palestine Solidarity Campaign, and Ismail Patel, Chair of the Friends of Al-Aqsa Campaign. The speakers focused on Jerusalem city, the hardships it has suffered, and the demographic structure of its society. They stressed the risks resulting from ongoing digging works beneath Al-Aqsa, and Israel’s attempts to forge history. Four workshops took place and addressed the Palestinian students at British universities. The first workshop discussed the Swedish traveler Benjamin Ladra and his ten-day journey to Palestine. During the second workshop, Raghad Takriti talked about the experience and the necessity of volunteering for Palestine in British universities. As for the third workshop, Obada Shtaia talked about the experience of Palestinian students in Palestinian universities, recognizing the importance of overcoming all obstacles facing students and pledging to support them to finish their studies successfully. A last workshop was on the UK’s extremism prevention policy and its effects on student activities within their universities. The theme of belonging was present in the speeches at the conference such as Dr. Ibrahim Alkhatib’s, who represented students living inside Palestine, Dr. Khalid El Awaisi’s, and in Leanne Mohamad’s touching poem. The conference as closed by the Islamic singer Yahya Hawa, with his patriotic songs. Palestinian flags, dresses, embroidery, artefacts, dishes and sweets - especially kunafa - were all present in a bazaar. The conference was accompanied by a weeklong speaker’s tour that included many cities like Brighton, Sussex, Portsmouth and Reading. The tour involved lectures on the importance of Jerusalem politically and religiously to all religions. Adel, one of the attendees at the university of Reading said “The lecture by Dr Khalid Awaisi was one of the most insightful lectures I have attended, it taught me a lot about the importance of Jerusalem in a way I did not realize before”. Sarah Al-Aredi, the spokesperson for Olive, stated that, “the FOSIS /Olive annual Palestine conference brings together a range of engaging and knowledgeable speakers on the issues relating to the plight of the Palestinians. This year the focus was on the importance of the city of Jerusalem and its socio-political as well as religious significance, especially during a time when the mere existence of the indigenous Palestinian people in this holy land is in danger. The conference not only allows us to raise awareness of the ongoing struggle, and for attendees to gain valuable insight with regards to the many injustices perpetrated by the state of Israeli, but it is also a space to showcase the vivid history and culture of Palestine.